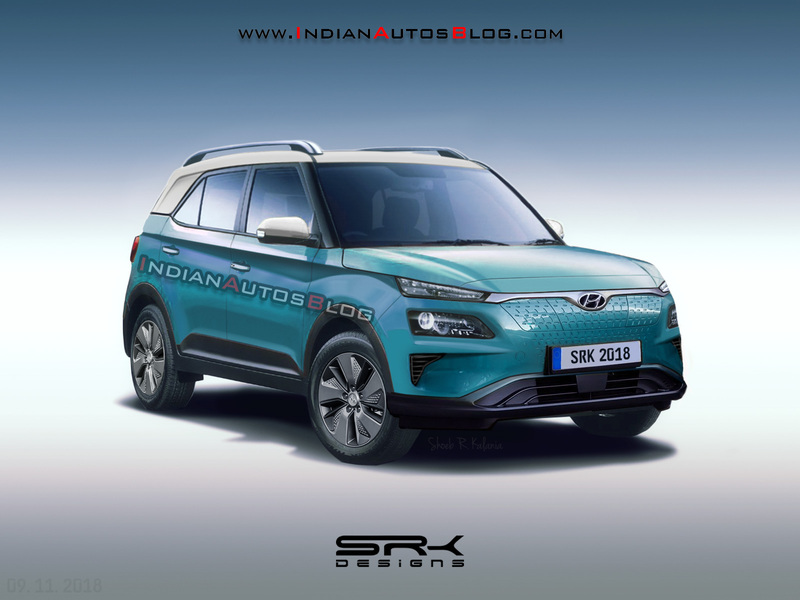 When the pure electric variant of the Styx (QXi) small SUV made headlines, IAB’s artist Shoeb Kalania began working on the battery-powered variant. The Hyundai Styx Electric will likely arrive as the brand's first locally manufactured EV in India early next decade. Hyundai will foray the EV space in India with the Kona Electric. This model won’t sell in big numbers, and Hyundai has an allocation of about 600 units for the first year. The Styx Electric following it will target the masses. The pure electric variant will have a more aerodynamic exterior and a few design differences to set itself apart from the standard variant. 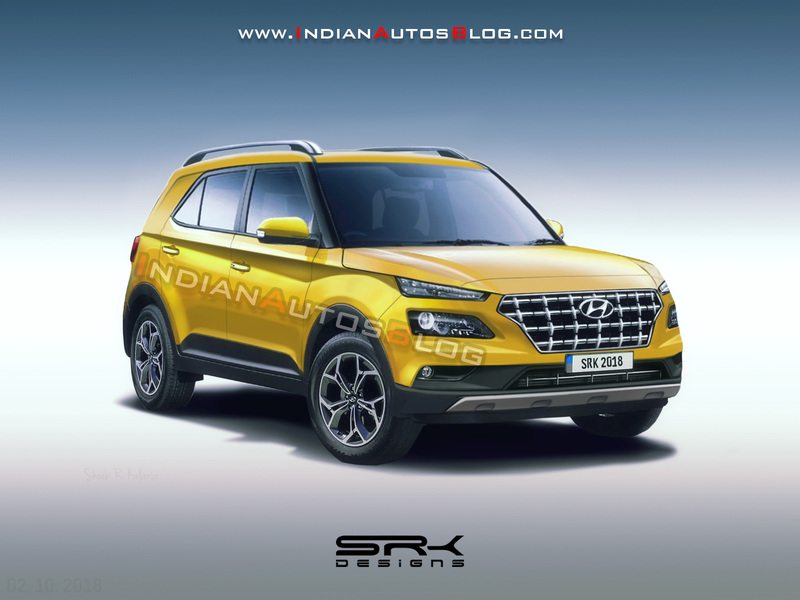 The rendering shows the Hyundai Styx Electric featuring the Ceramic blue paint, aerodynamic 17-inch alloy wheels and a Hyundai Kona Electric-like nose with a closed-off grille. A different colour on the A-pillar, ORVM housing and the D-pillar creates a two-tone colour scheme. A lower ground clearance, special tires and a smoother underbody could be on the company's wishlist to gain range. The Hyundai Kona Electric may have some interior differences such as a softer tone for the trim and upholstery. There’s no word on the specifications yet. Unlike ICE-powered vehicles, EVs attract a uniform GST of 12% irrespective of the body style and length. The standard variant will measure not more than 4,000 mm in length. The conventional Hyundai Styx’s launch will take place towards the end of Q1 2019 CY. The Hyundai Kona Electric will touchdown in July 2019 while the Hyundai Styx Electric should arrive by 2021. Unlike the first EV, it will get locally manufactured. The South Korean automaker’s EV line-up in India will include a car as well, maybe a variant of the next-gen Xcent. The Hyundai Styx with petrol and diesel engine options will go on sale in India towards the end of March 2019. Hyundai may export the Styx Electric from India. Reports say that the company is planning to make the country a production hub for low-cost EVs.